MailPix isn’t just for cheap picture prints! Our collection of photo mugs are a unique, creative way of preserving your favorite photos. Wake up and warm up to a nice photo memory with your morning Coffee or tea. 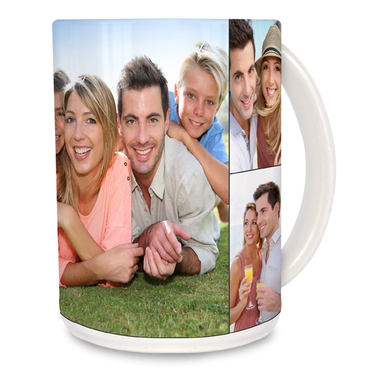 Personalized Photo Mugs and Photo Collage Mugs make the perfect gift for any occasion, and our large 15oz. Photo Mug is great when you need that extra boost in the morning to get you going. Speaking of morning boosts, how about a photo tumbler for the morning commute? While our 15oz mug is perfect for the home or office, our photo tumbler is perfect for the car, train, or bus!